I was going to post this last week but it ended up being quite a busy week as I was helping my sister with her new home doing a few jobs, tip runs with hubby etc as there is a lot of work to be done. I was glad for the distraction as our pet bearded dragon died early last week and I was surprised to discover how used I was to having him in my living room, we got him not long after we moved here so it felt very strange for a while after he was gone. I also didn’t realise how much I talked to him! (I am not afraid to admit I talk to my pets ;)) not being able to get out meant he was company for me for a long time. Plus I had to face the fact that I couldn’t just leave the house to take my mind of it until hubby was home, I had to face it full on, this was a tough lesson I have to admit. Anyway. What I wanted to talk about was my garden. 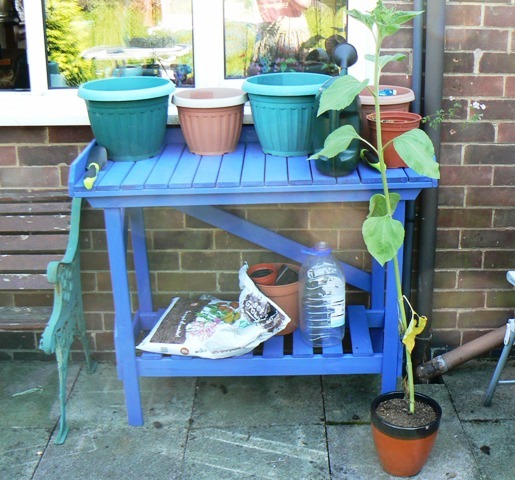 Last year I shared how I wanted to grow a few things in pots to get me out a bit and hubby was very happy about this so he bought me a little potting bench for my birthday last year. 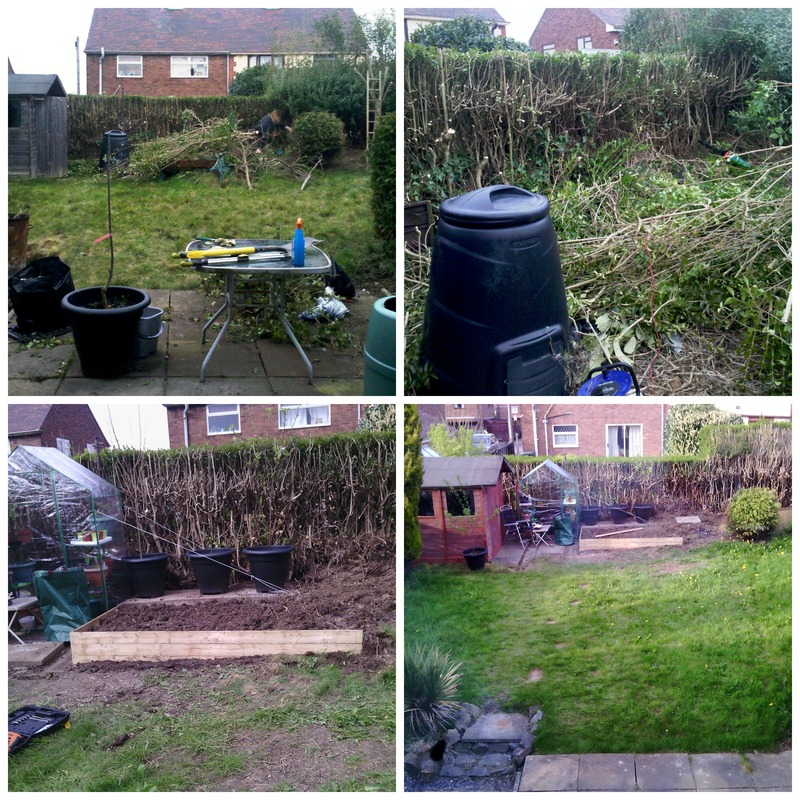 Well I enjoyed it so much and the weather this winter was so mild that we decided to do some actual work in the garden as it had been neglected for so long. Hubby tried his best to keep the lawns down but holding a job, a business and then studying as well as taking care of me and the house meant the garden wasn’t a priority. But things are different now. Hubby did all the big work, he chopped down the back hedge and took out a few trees at the bottom of the garden and we discovered our garden was a fair bit bigger than we thought! He built a raised bed there and we planted onions and potatoes. We bought him a little greenhouse as he wanted to grow tomatoes and they took off that much that we had to by another one just for them! 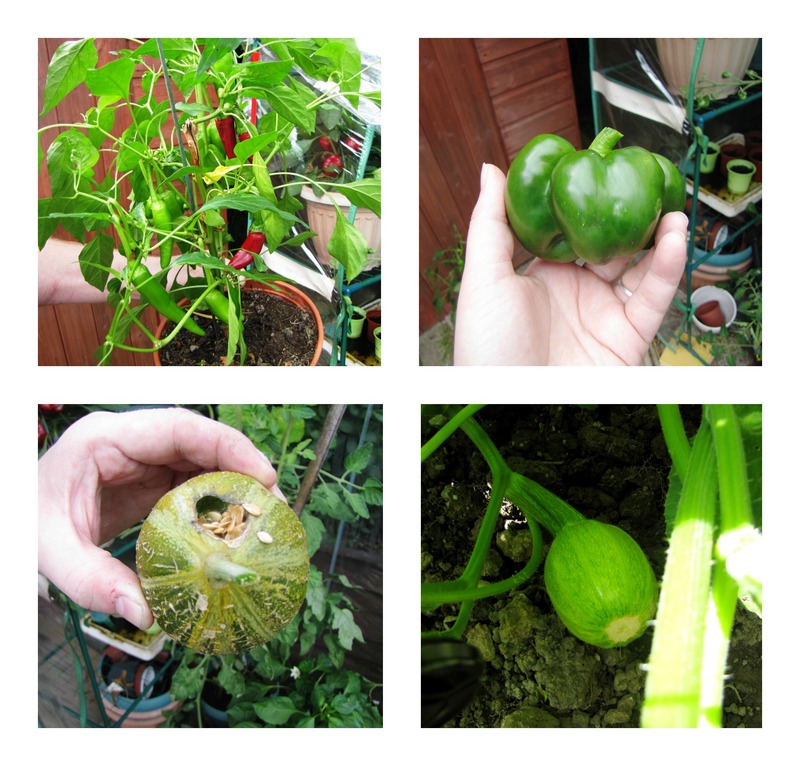 He also seeded some pumpkins in there which have now been planted in the garden, also in his greenhouse he has grown some cucumbers, chillies, peppers and melons. 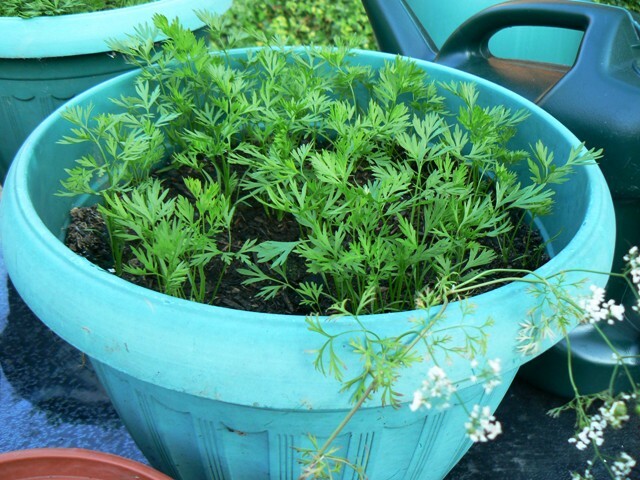 Plus I still wanted to grow some carrots in my pots again. 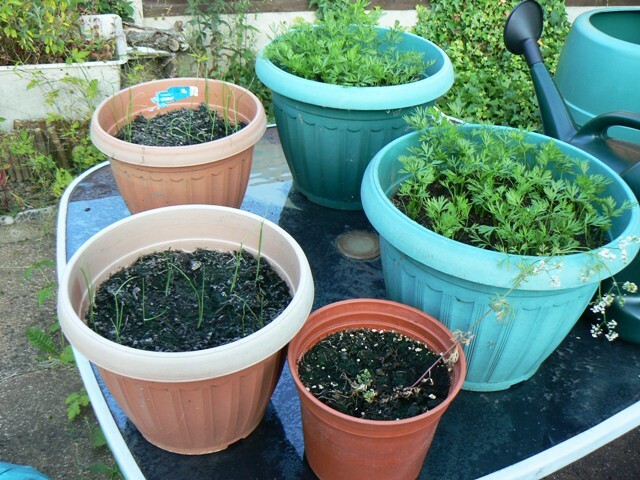 Also just after my operation a neighbor came over with some peas and bean plants for us so we planted them also. How blessed are we? 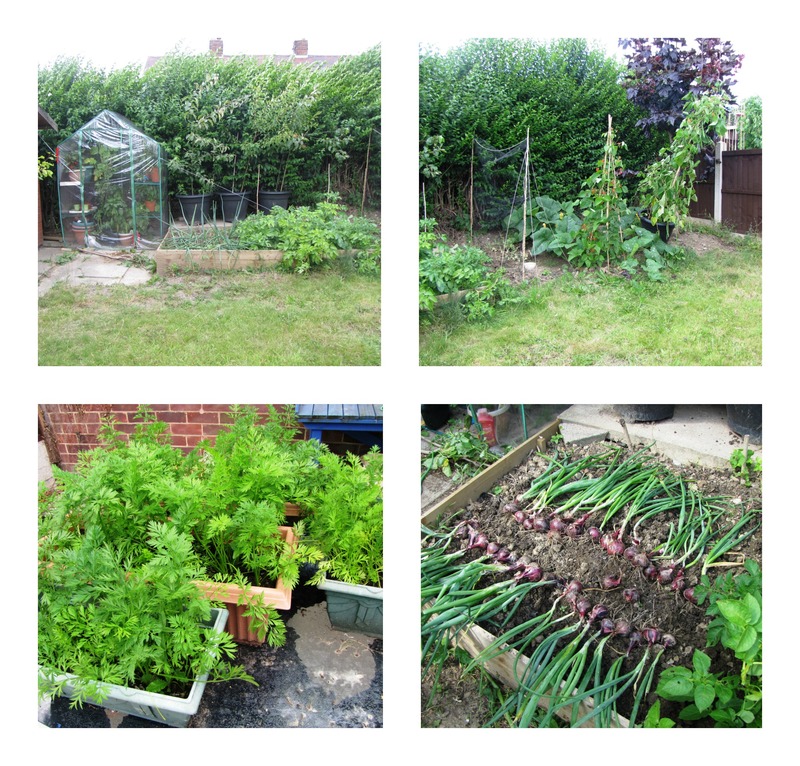 How it looks at the moment, except that the onions are now strung and the potatoes are out, plus the trees have been moved as we need to cut the hedge again. 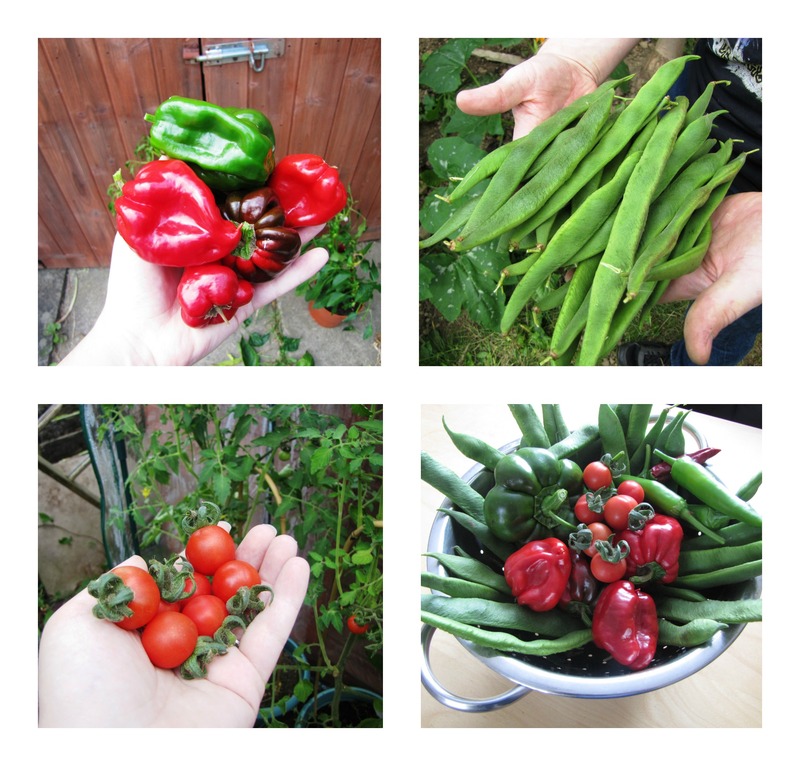 It has been a huge learning curve for us, some things have worked, others not so much, we are both really enjoying doing it together though and walking around the garden together with a cuppa discussing what needs doing next. I have missed doing things with him so much, I think that’s been the biggest blessing. One of the casualties was a melon and a couple of pumpkins, the one on the bottom right is still going strong though. God willing, next year we would like to do more work and grow more food, I would dearly love to get him a proper greenhouse if funds allow. I don’t think we will do as many things next year, this year was more about learning, seeing what we enjoy growing and what works and what doesn’t. And we have learned a lot. Though I do wish I had kept a journal on it so I think I might try and do that next year. 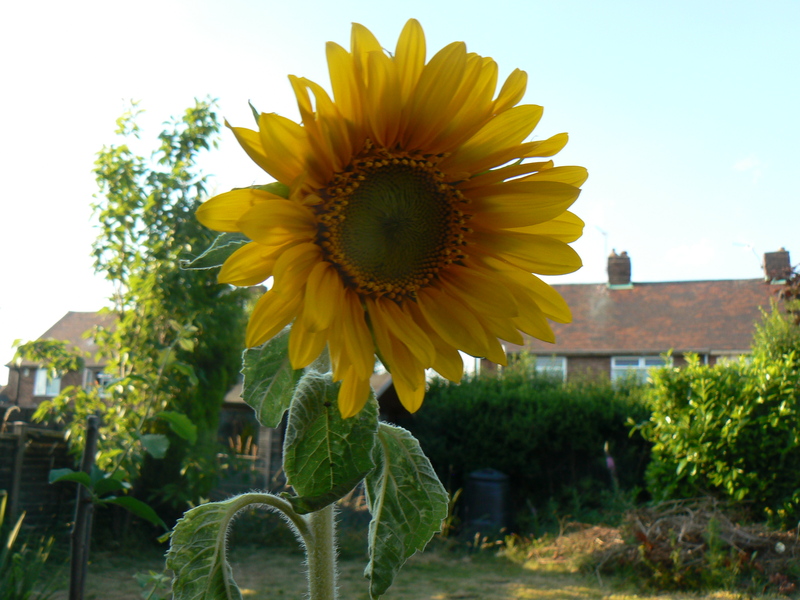 We definitely prefer growing food to anything else, even though I like flowers I like to have a ‘working’ garden. If that makes sense. 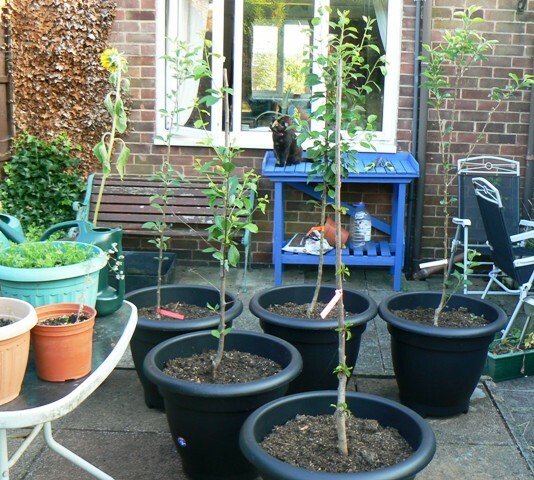 Hubby has a couple of trees in pots so hopefully we will have some fruit as well. Though when we go on our drives we like to keep an eye out for apple trees and damsons etc. I will share about that in another post though. 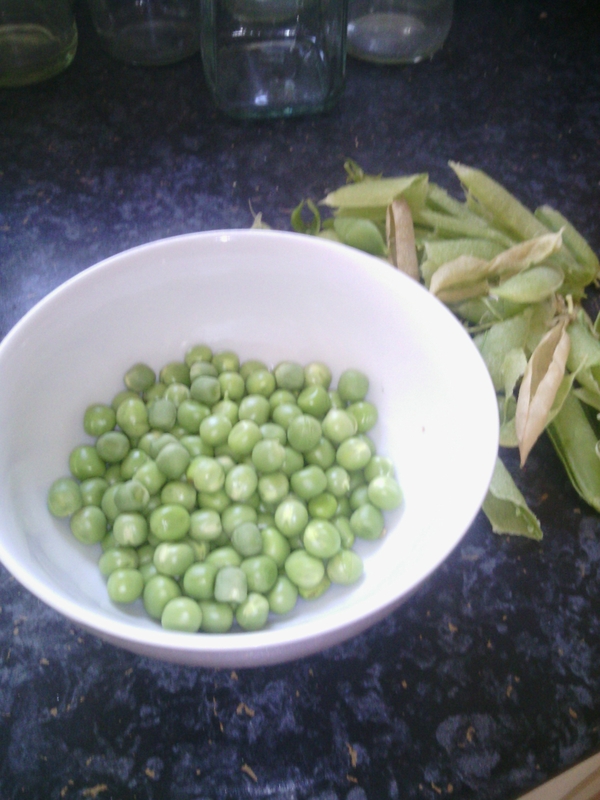 Almost forgot our peas! Didn’t get many but we have learned a few things if we do them next year. Like I said there is more work to be done, I really want to get our little outhouse painted and more trees need removing but I am so pleased with the work we have done this year. It feels grand to have a project to do when last year I couldn’t spend more than ten minutes in the garden without feeling faint. I still do feel unwell but my stamina is definitely improving. I thank the Lord for His provision and I thank Him for strengthening me more and more so I can do these things and get such pleasure from working on His creation. And enjoy spending time with hubby again, time is so very precious with our loved ones and I hope I never take him for granted ever again. I have to say being ill is very hard, especially when it was really bad but it has made me very grateful to be able to do some things again I used to take for granted.